An update out today adds a new quest line called “A Friend Worth Dying For,” the reward for which is the serpent-headed kopis-style blade players have long been awaiting. 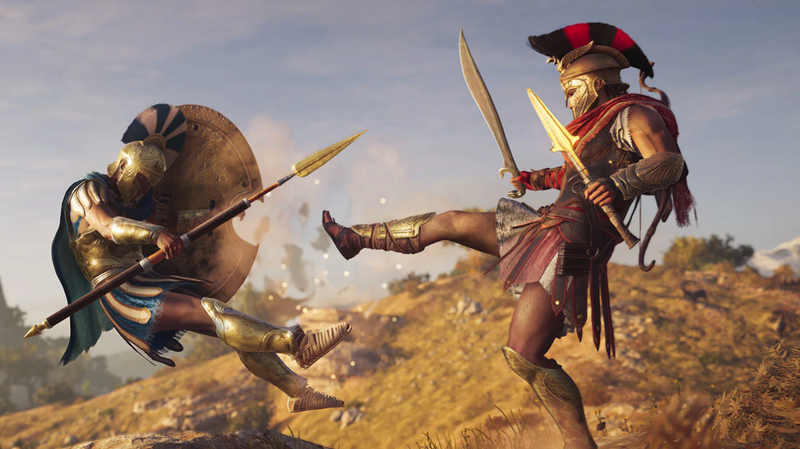 YouTuber JorRaptor was one of the Assassin’s Creed Odyssey players who immediately jumped back into the game to complete the quest and document that the sword was in fact real. Without getting into spoilers, the quest revolves around first-mate Barnabas and a vision he had that loved ones from his past were still alive, and can be launched by checking the message board on the ship. At the end of it players get the Hero’s Sword, a powerful legendary weapon that does bonus assassination damage and has the serpent pommel that’s been tantalizing players going back to Ubisoft’s promotional campaign for the game. 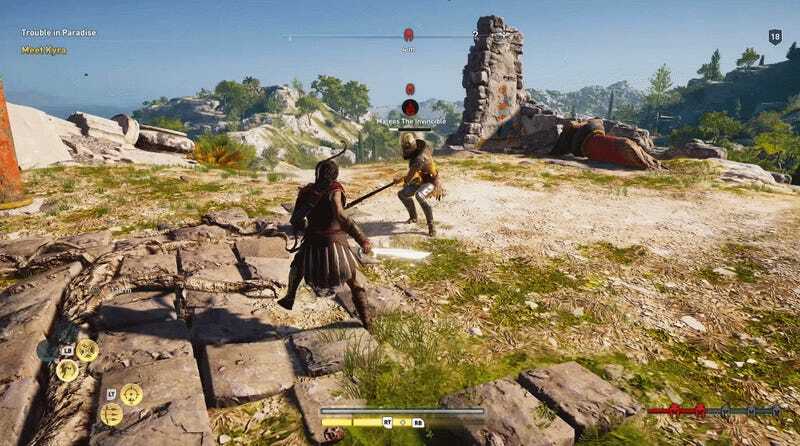 As JorRaptor detailed in a video released last week, Kassandra and Alexios can be seen wielding the weapon back in the E3 2018 gameplay demo. It’s also displayed in several screenshots on Ubisoft’s website explaining how different parts of the game work. It’s even featured in an Assassin’s Creed Odyssey-sponsored episode of Man At Arms where they actually forge a real-life replica of the weapon. Ironically, the flavor text for the Hero’s Sword describes it thusly, “Every good odyssey begins with a hero and a sword.” During his stream today, JorRaptor chuckled after reading the words out loud.